Updated! New research and testing has shown that the best software to record UStream video is Audials One. It’s rock steady reliable and produces excellent results. You can download Audials One by clicking here. It’s a full-featured demo but some features are time limited. The price for the full software is $59.90 on sale (regularly $79.90). 1. 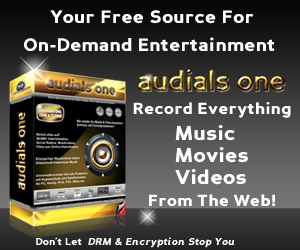 Download and install Audials One. 2. Open it and click the “Capture” tab. 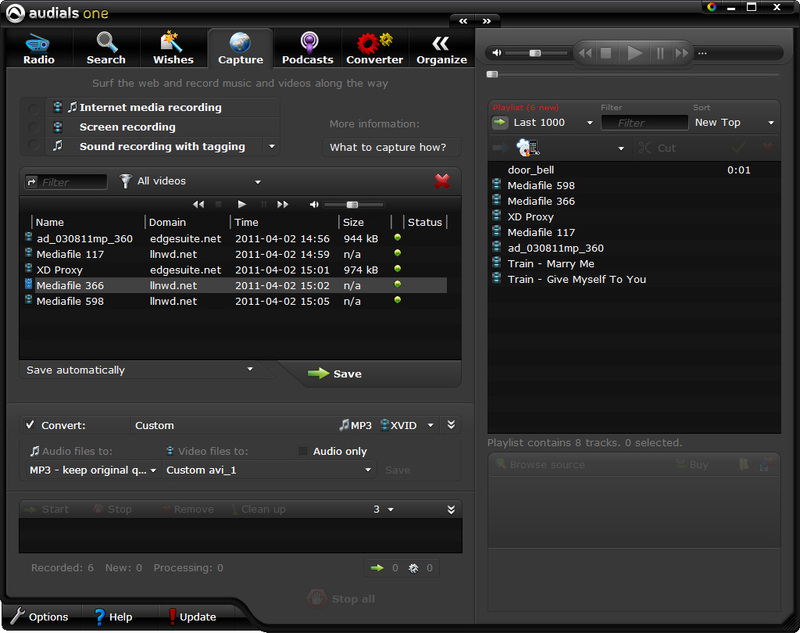 Next click “Internet media recording”. 3. Go to UStream and start playing the video you want to record. 4. Audials One will start recording UStream automatically as soon as the video begins playing in your browser. The video download is usually faster than the real time playback. The file name video will appear in the center of the interface and displays the total size and download status. If “Stopped” appears in the status column click the “Save” button below the column to restart it. 6. The file will be converted automatically and the finished file will show in the field on the right-hand side of the screen. 7. Double-click on the file name to play it in the Audials media player. 8. Click the file folder icon below it to open a file manager window to see the actual converted file on your hard drive. That’s it! It’s really that fast and easy to record USteam video. You can download Audials One by clicking here. 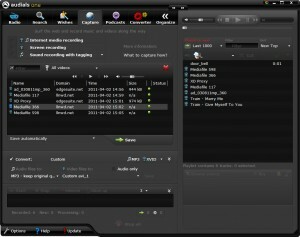 Now that you know how to record Ustream video you can also record video from thousands of other sites using Audials One. And, you can record multiple videos at the same time. Just start playing the first video you want to capture and Audials One will start recording. After that you can move on to another video and start capturing it at the same time. You can record as many simultaneous video streams as your internet connection can handle. Learn more about Audials One’s features here.